1. What is the nominal pressure PN (MPa)? Reference values related to the pressure resistance of pipeline system components refer to the design pressures related to the mechanical strength of pipeline components. Nominal pressure is generally expressed in PN. (1) Nominal pressure – the compressive strength of the product at the base temperature, expressed in PN, in MPA. 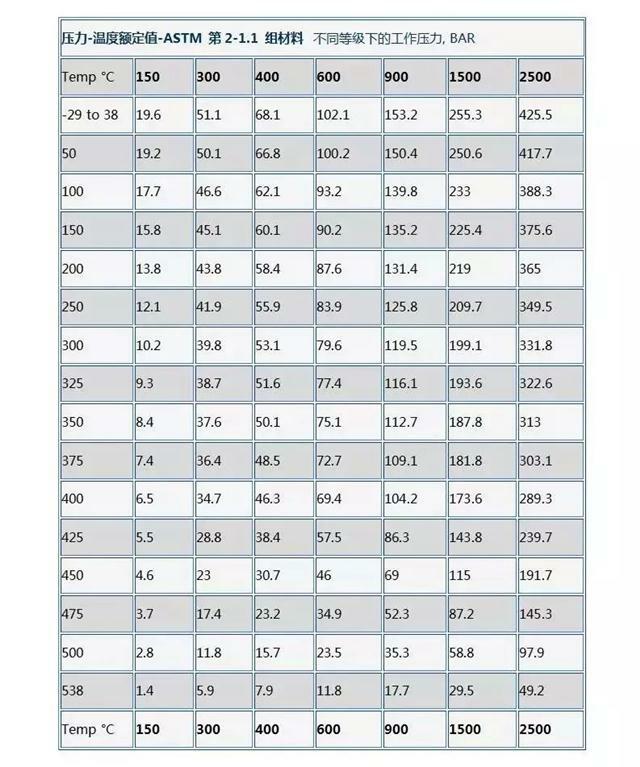 (2) Reference temperature: The reference temperature varies with different materials. For example, the reference temperature of steel is 250 degree C.
2. What is work pressure? It refers to the pressure stipulated by the working temperatures at all levels of the pipeline medium for the sake of the safety of the pipeline system. Work pressure is usually expressed by Pt. 3. What is design pressure? It refers to the instantaneous pressure acting on the inner wall of a water supply pipe system. Generally, the sum of working pressure and residual water hammer pressure is used. Design pressure is generally expressed in Pe. The pressure required to be achieved by the compressive strength and airtightness test of pipes, containers or equipment. The test pressure is generally expressed by Ps. Nominal pressure is a kind of nominal pressure artificially prescribed for the convenience of design, manufacture and use. The unit of nominal pressure is actually pressure, which is commonly known in Chinese as “Pa” rather than “N”. Nominal pres-sure nominal: L in name or form but not in reality. The nominal pressure of pressure vessel refers to the nominal pressure of pressure vessel flange. The nominal pressure of pressure vessel flange is generally divided into seven grades, namely 0.25, 0.60, 1.00, 1.60, 2.50, 4.00 and 6.40 MPa. Design pressure = 1.5 x working pressure. The pressure rating of the flange is clear, Class300 flange can withstand more than Class150 pressure, because the Class300 flange required by more material to manufacture, which can withstand greater pressure. However, the ability of the compression flange is influenced by many factors. The pressure rating of the flange is expressed in pounds, a pressure level have different representations. For example: 150Lb, 150Lbs, 150# and Class150 mean the same thing. Different temperature, pressure bearing capacity of flange is also different. The temperature rise, the pressure bearing capacity of flange decreased. For example, the bearing capacity of Class150 flange at room temperature is 270PSIG, the bearing capacity of 400 to 180 PSIG, the bearing capacity of 600 to 150 PSIG, the bearing capacity of 800 to 75 PSIG. In other words, when the pressure drops, allowing the temperature rise, and vice versa. The flange can be manufactured by different materials, such as stainless steel, cast iron, ductile iron, carbon steel and so on, each material has different pressure levels. Below is a NPS12 (DN300) of the flange examples, we can see that the flange diameter hole and the process is the same.However, the outer diameter of flange, bolt circle diameter, the diameter of the bolt hole with increasing pressure level and change. If the bolts and gaskets of flanged joints meet the relevant restrictions, and the alignment and assembly of flanged joints conform to good regulations, such flanged joints can be applied to the pressure-temperature rating. If the latter is used for flange joints that do not meet these requirements, the user is responsible. The rated temperature corresponding to the rated pressure refers to the shell temperature of the pressure vessel with flanged and pipe fittings. Normally, this temperature is the same as that of the storage fluid. It is the user’s responsibility not to select the pressure rating according to the temperature of the storage fluid. When the temperature is below – 29 (- 20), the rated value should not be greater than – 29 (- 20). As an example, the following is in accordance with the two groups of materials and their ASTM division in accordance with the temperature and pressure rating of ASME B16.5. Shall not be used for more than 455℃. Shall not be used for more than 370℃. Shall not be used for more than 260℃. Shall not be used for more than 425℃. Yaang welcome your call to discuss a variety of technical materials of flange.